Being treasurer of the MPBA is a great honour, and a great responsibility. The main duties of a treasurer are to oversee the financial administration of the organisation, review procedures and financial reporting. You also need to be aware of any risks that may arise. Keeping up-to-date records as well as an audit trail for all transactions using spreadsheets and Sage 50. Do the any banking such as depositing cash and cheques, paying the bills and tracking income and expenditure throughout the year. Completion of spreadsheets and reconciliation of the accounts monthly and produce final year end accounts for the accountants. Prepare and present the accounts and Treasurers report at the annual general meeting (AGM). 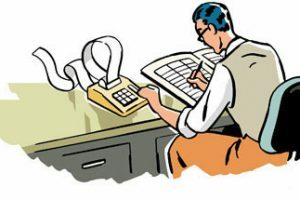 Experience of financial control and accounting. If you are a member of an affiliated club then you renew through your club secretary. If a Countrywide member then the form on https://www.mpba.org.uk/membership can be used as both renewal and new joiner. Happy Xmas!